As garden seeders go, the Hoss Garden Seeder – specifically, the HGS051 precision seeder – is a showpiece – a master stroke of seeder excellence. It is the toughest, most long-lasting garden planter on the planet! The Amish made hardwood handles connect to a powder coated steel frame setting on two 15 inch steel wheels. Planting depth is easily adjustable from a quarter inch to an inch-and-a-half. Instead of using a wedge shaped ground opener – as is the case for the Chapin 8701B and the Earthway 1001-B, this Hoss ground seeder uses a rolling coulter – or double disk furrow opener that rolls along the soil to open a furrow for dropping seeds. If there is a lot of undecomposed organic material in your garden soil, then it behooves you to use a seeder with a rolling coulter because, it is much more forgiving. With a wedge shaped ground opener, the tilled soil must be free of clumps, rocks, roots, sticks, and organic debris to operate efficiently. But, the rolling coulter on the Hoss HGS051 garden seeder will breeze through these obstacles effortlessly! 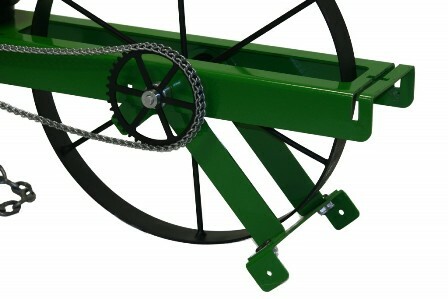 Just like the Earthway seeder, the Hoss seeder uses a drag chain to cover the dropped seeds with dirt. And, the rear wheel tamps the soil down to ensure good soil-to-seed contact. The seed distribution is accomplished using horizontal seed plates – with holes for the seeds to drop into the seed chute. Six different sizes of seed plates are provided. Plate #1 (HS4-1001) – works for broccoli, cauliflower, cabbage, turnips, mustard, rutabaga, and other tiny seeds. Plate #2 (HS4-1002) – is crafted for onions and small coated seeds. Plate #3 (HS4-1003) – handles okra, pelleted carrots, lettuce, beets, and Swiss chard. Plate #4 (HS4-1004) – is excellent for planting small sweet corn and popcorn. Plate #5 (HS4-1005) – is a fit for small peas and beans. Plate #6 (HS4-1006) – will deftly tackle medium beans, peas, large sweet corn, and field corn. Since the seed plates are horizontal – lying flat in the hopper – there is less risk of seeds getting stuck between the hopper and the plate. And, there is a much higher accuracy and less seed waste due to overplanting. If there is a need to customize seed plates for your particular odd-sized seeds, blank plates are available at a reasonable price. The seed hopper is completely removable to make is easier to fill and empty it without having to pick the whole machine up and clumsily try to dump seeds back into the bucket. A kickstand is provided to keep the seeder upright when not in use. But, don’t bet on it if you are seeding on a windy day! A row marker does not come standard – it is an optional attachment. But, I don’t use them anyway – I always plan out my garden and line the rows with string to keep the rows straight and true. 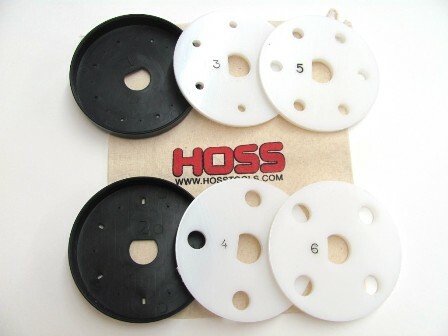 Hoss Tools warranties their garden seeder for a year but, it is built to last a lifetime! 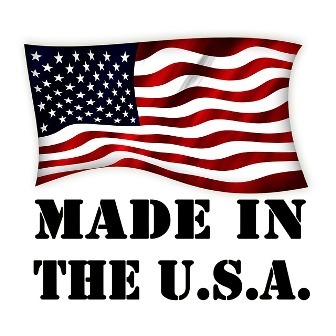 And, they are very loyal to their 100% satisfaction guarantee. ANSWER: So do all seeders. 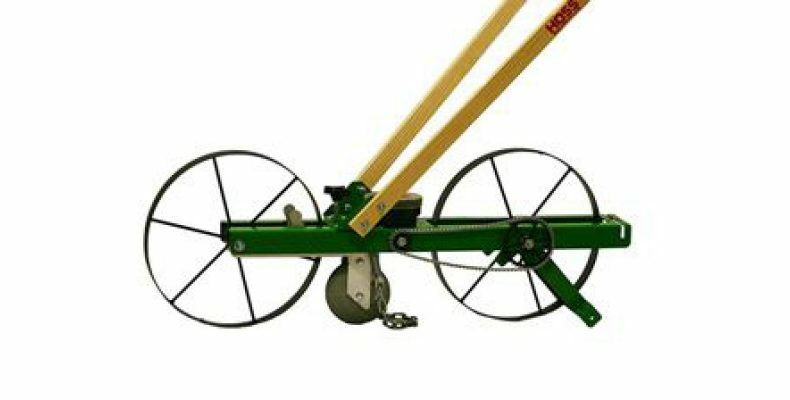 Actually, with the rolling coulter design, this planter actually does a better job in clay soil than its counterparts that use a wedge shaped ground opener. ANSWER: Put a piece of masking tape over every other hole and you will double the spacing. Or, purchase a blank seed plate and customize it to your spacing needs. ANSWER: Check to make sure the seeds you are using match the holes in the seed plates. Also, dipping the plates in some soapy water and letting them air dry will make their surfaces more slippery. That should fix it. 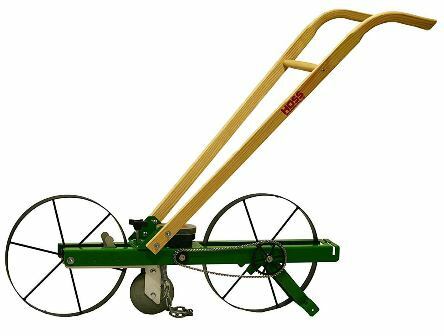 If you have a medium to large sized backyard garden, you will want a Hoss HGS051 Garden Seeder to take all the work out of planting. Get on track – and, save your back! 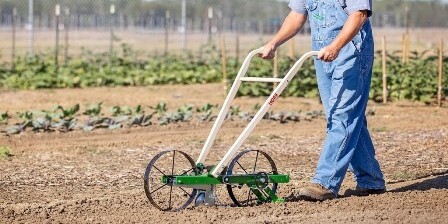 It doesn’t get any better than a Hoss garden seeder. Some tips, tricks, and other great buys can be seen on my Garden Seeder Reviews page. Add your remarks below – or email me – and tell me if you use a garden seeder and how you like it! Do you have any secret tips to pass along? I’m not an old dog so, you can teach me new tricks! Now isn’t this a great tool! My garden is not large enough, yet! Currently, we have a raised garden bed, with a select few vegetables growing as we do not have the space for a big garden. But I am telling you this is something I would have purchased for my grandfathers garden when he had it. It was quite the job sowing seeds by hand! Yes, the Hoss Garden Seeder really takes the work out of seeding a garden. It is never fun having to sow seeds by hand – with any sized backyard garden.